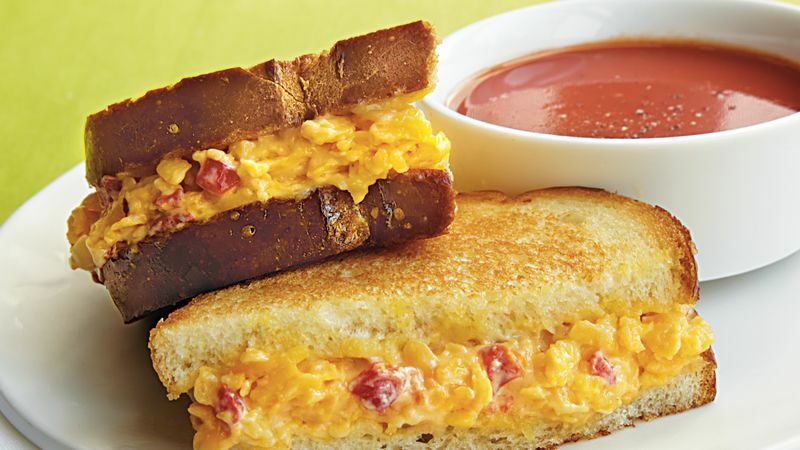 For each sandwich, spread 1/4 cup pimiento cheese mixture on 1 side of a bread slice; top with a second bread slice. Lightly spread outsides of sandwiches with remaining 1/4 cup mayonnaise. Heat griddle or large nonstick skillet over medium heat. Cook sandwiches in batches 8 to 10 minutes, turning once, until golden brown and cheese is melted.